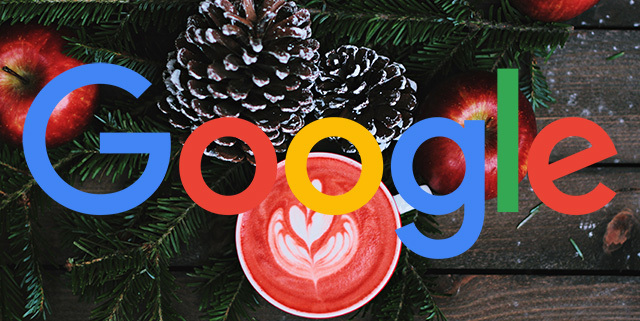 Google has dressed up their search results page for the holiday season. 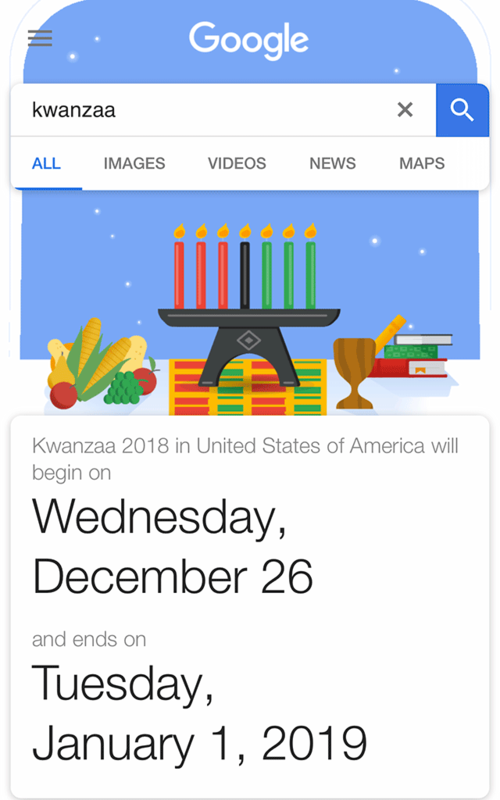 All you need to do is search for holiday related searches; such as [christmas],[chanukah], and [kwanzaa]. 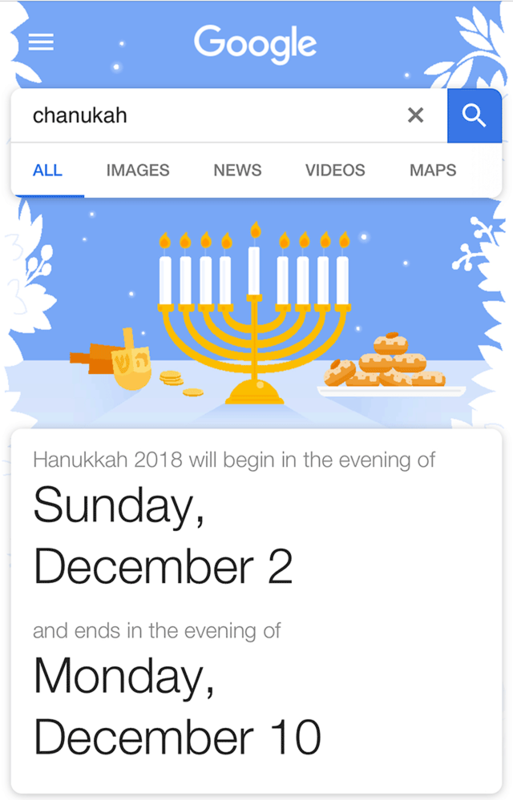 We reported about the Hanukkah decorations Saturday night since Chanukah was yesterday but all went live I believe on December 1st. I should note, [festivus] is technically up all year round. 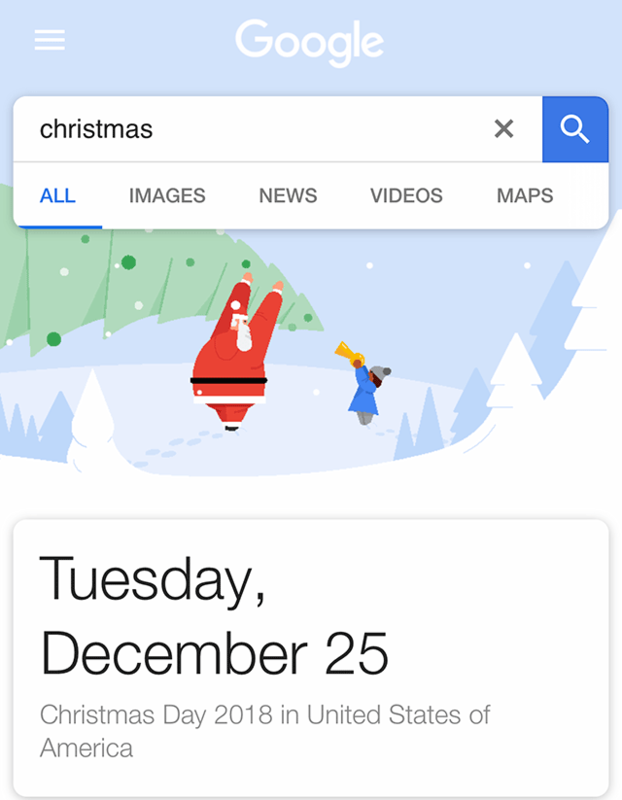 Here are screen shots of the mobile version of each holiday. Here are the 2017, 2016, 2015, 2014, 2013, 2012, 2011, 2010 and so on.